You can use the System Health interface to monitor the status of individual printers and devices. 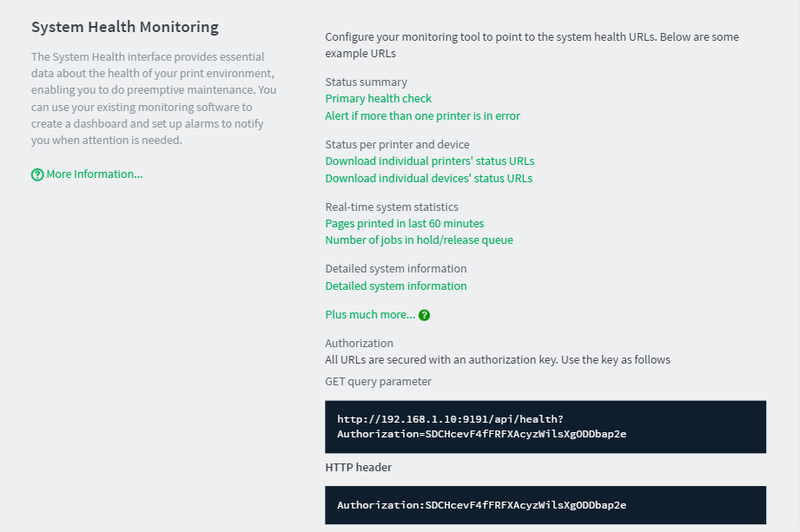 To monitor individual printers or devices, you need to know the System Health URLs for the specific printer. You can export this information from the Admin web interface. The Advanced page is displayed. Scroll to the System Health Monitoring area. For more information about these URLs, see PaperCut NG/MF System Health interface reference.